He’s also well known in his country for his romance with singer Aldous Harding, a singer who he’s no longer dating, but who he nevertheless invited to sing on a song he wrote about their breakup. 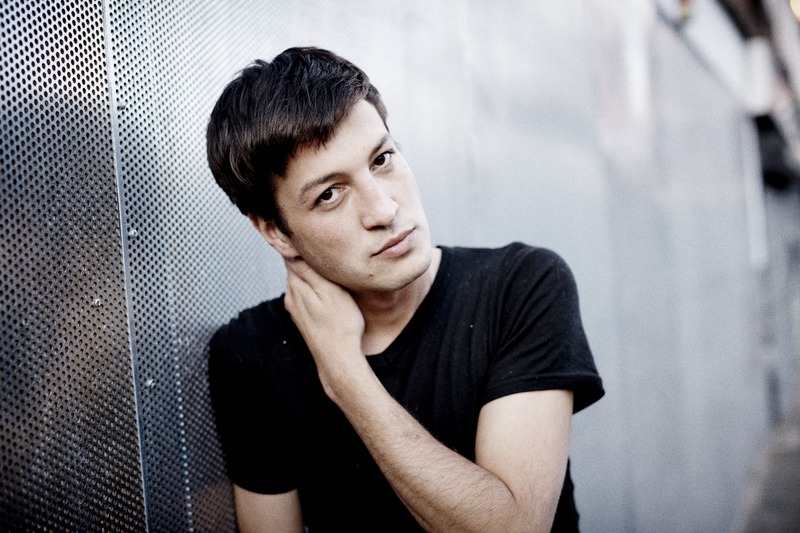 But it all began for Marlon Williams when he joined the choir at about age 10. Marlon Williams: I was always a very mumbly, almost stuttery child, and I never found … like I couldn’t communicate anything very simply, except through music. Especially, the first approach of having notes written on a page in front of me and reciting it in a sense that there was a real sort of like a breath of fresh air to be able to communicate that way. That was … I’m jumping the gun there a little bit. … it was definitely physically taught to me first. And then … and actually, I remember I didn’t take to … actually to notes on the page for quite a long time actually cause, I don’t know, I had some sort of sense of breaking the spell. I think a lot of musicians who come to it naturally have that battle. Right. And how about in the family? Was music always around? And in your neighborhood? Yeah, it was definitely in the family. My dad was a musician, but he largely stopped, except around the house by the time I was around, so. And my mom was a painter and always listened to a lot of classical music and really loudly while she was painting. So it was always in the home. Who were the first artists that drew you in? I remember buying my first piece of music for myself at a garage sale next to my grandma’s place. I just randomly bought just like a seven-inch of “Sound of Vision” by David Bowie and just having that piece of music that was mine for the first time was a really amazing feeling. So yeah, there was … And I didn’t listen to any more Bowie for another 10 years probably, but that was a weird spike in my Bowie life. But I think definitely a lot of the early Elvis records that my dad played a lot and all of the Beatles records were … that was sort of the mainstay of the house. And so, you’re, at this point, probably 10 or 11. And when do you start playing? It came pretty soon after. I think my dad introduced me to Dylan, and I picked up a guitar and played “Blowin’ in the Wind” and tried to take a few lessons with the guitar but found it pretty frustrating so, just basically, I just needed something to be a bed while I sang, you know? And that was … that wasn’t what I was getting from my classical guitar lessons. Yeah, so you’re meanwhile taking classical guitar and what made you decide to go that way rather than just take regular rock guitar lessons or something? At my school, yeah. You know, it was a small school. It was about 100 kids at my elementary school, so it was … it was very limited in terms of the scope. Yeah, that’s interesting. So then, I just love the anecdote that your first band involved your friends and your science teacher. That’s true. It’s true. It’s more true than you think. It was me and Ben, who’s still playing bass with me now. He’s in the other room, and my other friend, and first of all we had a just a general science teacher named Nick Ward who was playing drums for us, and then he left and we had another science teacher. Yeah, it was a biology teacher. So … I don’t know why that is. Well, I don’t know. There was … the science department at my high school was really … I don’t know. They were all closet musicians and it was just one of those anomalies. Yeah. And what was the common ground for music that you shared there? Who were some of the artists you guys looked to? You know, by that time I’m … I was about 14 or 15, and I was really … my dad had put a Gram Parsons CD in front of me so it took me awhile to warm to it, but when I did it was … I don’t know. It was … just when I was really starting to get a feel for trying to write too and just something about, yeah, the simplicity of country music just seemed like an obvious medium to jump into, you know? Was it that double one, GP/Grievous Angel? That’s a great introduction to that music. Totally, yes. Like, you know, it’s a gateway drug into country music. Well yeah, that’s interesting, too, because listening to your early recordings and hearing how country they are, I wondered who were the people you were looking to in New Zealand. I imagined Hank Williams and Gram Parsons and that kind of thing. But how were you exposed to all that music? It was really through my dad just constantly every week bringing home a new album, a new CD that he’d go and trade in for the next one, you know? And that … and as he saw that I was getting into the country stuff more, that was … that became more of the mainstay. And yes, and it from … and yeah, went back to Hank Williams and George Jones and then really into bluegrass, you know, by my mid-teens. Yeah. So talk to me a little bit about your musical relationship with your dad. Did you guys play together at all? Yeah. We played, and we did some really … I actually … I did this like high school band competition with my band, The Unfaithful Ways, and I submitted the song for like the B song category that my dad had written, and I just … well he’d sort of written most of it and I just tailored it off. I still haven’t credited him for it to this day, and I’ll probably get in trouble. Oh, no. Does he know? Yeah. But it was definitely … yeah, we were very … it was our common language, you know? We’re not a super talkative duo as a lot of fathers and sons are. But that was our … it was the emotional connection that I got. That’s great. And so during the whole … Unfaithful Ways was what? Five, six years? Yeah. It was from about 15 to 21. Yeah. And talk to me a little bit about that arc. At that point, did you know this is something you were going to do for a long time? At what point in that band’s lifespan did you make the decision, “Alright. This is something I’m going to really work hard at”? I never really did, you know? It was something that … I mean, it’s hard to tell cause I’m really bad. Like I’m constantly reinventing my own past. But I’m pretty sure that it was … there was never a moment where I thought that this is going to be the goer. It just felt like it from just that comfortability from the singing in the choir for the first time was a no-brainer. You know? And so your … Unfaithful Ways stopped at what? You’re 21? Yeah. That was around the end of high school…. I was seeing an American girl. I was like, “Okay? Thaaaat’s interesting.” I did just not really hear that in your music, but okay. You were seeing an American girl. I was seeing an American girl. And she … cause she came over on exchange to Christchurch. And then she moved home, and I was … and I wanted to … I wanted to study music I thought and obviously there’s incredible music schools over here, Berklee being one of them. And yeah, and all through high school I’ve been joining choirs and was … had just come back from a tour of Europe with a cathedral choir. And I don’t know, it just developed a real passion for the whole choral universe and conducting seemed like some sort of romantic dream that I’d like to pursue, yeah. It’s an interesting double life, too, with the different types of music. Does the … I haven’t, in the music I’ve heard, I mean I hear the harmonies that are really sweet harmonies, but I never hear these … this choir this sort of influence in your work. Does it ever come out? Or do you keep it separate? I think it’s … I feel like it’s … amalgamated into just the way I sing a bit. And especially live. It’s more of a thing that I slip into. When I’m in the studio … I’m trying to craft an album and it’s more conserved, but when I let loose, it seems to really creep back in. Right, right. And we’ll probably get to this a little bit later, but with both of your solo albums, you can definitely hear a conscious mood that was created, and it’s definitely confined within its certain vision and it doesn’t seep beyond that, which is a good thing. I mean, you don’t want an album to be bouncing all over the place. Yeah, you got to keep it relatively tidy. Right. So then, the Unfaithful Ways, that’s what we were talking about. So how does that band fall apart? Or, rather, why do you disband? It was [because] our guitar player moved to Berlin. I had started working with another guy named Delaney Davidson. And we were still playing as a band when he and I went in and recorded our first duo album. … And I was starting to play a lot solo just around the city. So yeah, just sort of naturally started drifting off into something else. Right. How’d you two meet? We met because … we were both asked to play this show that a friend of ours was playing and couldn’t play. And he just sort of cast his net to widen and asked us both to cover the set at this local bar. And I’d heard of Delaney on and off, but he’d been touring Europe for the last 12 years or something so I never met him. And the first time we met was both turning up to play the show and going, “ahh, Adam’s done that thing again that he always does.” And then we worked out. we’re like, “Well, let’s just, you know … I know who you are and you know who I am, let’s see if we can just play a show together.” And so we ended up doing three hours of just all our favorite songs. And found we had so many of them in common. And he’s a little bit older than you? Yeah, he’s got 10 years [on me] or something. … You guys did four albums together? Three. Sad, but True: The Secret History of Country Music Songwriting. Yeah. How did that whole project come about? At what point did you guys go from playing that first set together to that sort of collaboration? Well he’s an extremely proactive person, and I’m not. So it came from him saying, “Why don’t we do this thing?” … And it was based around the ethos of that night. It’s like this drawing together of all these different parts of both of our musical histories and finding some synthesis. … The first day we met to talk about making that album, the first album, we’re sitting in a café with a piece of blue book in front of us and we’re writing things down. And I remember, he’d just written down, “ghosts of country music,” on this piece of paper. And then, we had a big earthquake that just struck out of nowhere. At the time you guys were meeting? Just at the time we were meeting, and it was a very, a really serious one, yeah. People died … and it was … the whole city was demolished, you know, to a degree so, so it was a pretty auspicious way to begin. 2011. And so … then we finished recording the first album exactly a year after, to the day after that first meeting, after, you know, a crazy year of dealing with a broken city. … And making a … we made like a charity album in between that with us and a whole bunch of friends, and then … But yeah, then a year later on, we had our first album out. The whole city was destroyed, right? Totally. The CBD was ruined. Speaking as a musician, 70 percent of the venues were gone. Yeah, so it just turned into a … like a house party town. Wow. So yeah, what happened after that? Did … have they been rebuilt since? It’s still … no, like my mom’s house is still … and we’re seven years on now. Mom’s house is still being rebuilt slowly. It takes a long time to recover from something like that. Yeah. And you still call Christchurch home? Yeah. It’s the nearest thing I’ve got at the moment. Yeah. … as much as humanly possible. … [I get home] at Christmas, and probably get a few weeks there in June. Yeah. So after that, you were playing down there still a lot and when … by that time had you toured America? No. There’s still no point. I don’t know. I’m not … I don’t … I’m not one for yardsticks. You know? It’s just sort of … I sort of go along with whatever’s happening. What was your fallback if you wouldn’t be doing music? Well, I went to University … in Christchurch. I stayed home around the time of the earthquake, so just afterwards, and studied history and I’m very passionate about New Zealand history and I’ve got an indigenous background, too, so I was studying Maori language. … I don’t know a way to say this without sounding ignorant, but what tribe are you a part of? Yeah, so the Maori people are sort of a general … in the same way that you’d say Native Americans. It’s just a general sort of list and record of tribes. That’s for simplicity’s sake. Have you done any musical connection to those roots at all? Yeah, there was … That’s another thread that was always running through my childhood, too. There’s a really strong … a lot of the sort of crooner-isms … that are in me are from that as well as the classical stuff. There’s a real unashamed openness to the singing style. Are there any traditional songs that you play still? I do from time to time, yeah … if it feels appropriate … or funnily inappropriate I’ll bust one out. I made my girlfriend sing this one Maori song with me in Montreal last year. For no reason other than that we’d been singing … we’d like sing, tried to learn it around the house … and she just didn’t know any of the words. And she’s … and it’s all in just like two-part harmony the whole song, and she’s just like feverishly trying to phonetically read my lips. … And just [makes effort at doing an incantation of some sort]. Just like absolute gibberish coming out of her mouth and me just losing it and not being much better. But we were in Montreal, so we were just popping at each other. Right. And she’s from New Zealand as well, right? … song. The whole album is, right? And I need to hear the story about how on earth you approached her about singing on a song about breaking up with her. Yeah. Well we … [Aldous Harding] and I have a musical history that extends back to when we were about 16, 17. And I don’t know. I guess we sort of … we fell in love through that. There was … We were with other people, and we … but that was our … I don’t know. It was our sort of place where we could connect with each other. So it was … and we didn’t get together until six years, six or seven years after that. So it was … that was such a strong thread anyway. And all throughout our relationship, there was this respect and understanding of what each other does and goes through. And yeah, and it was real … a real challenging and like artistically fruitful sort of dynamic to have. To be pushing each other, but quite hard … when you’re both treading the same sort of ground. So it was really … I didn’t feel weird about it at all. It’s very natural. Yeah, very natural sort of combination, and I’ve really just … I needed it. I think it was … I just needed her to … some part of me needed her to accept my version of events. You know? And she saw that, and whether or not she agrees with the sort of time behind the song, she was willing to come to the party. Is there an answer song that you’re going to guest on for her? No. You know, it’s this … I don’t know. We’re talking about doing other stuff together. That’s funny. That’s like how everybody was wondering, like, “what’s Jay Z going to do after Lemonade [was possibly all about him], you know? Yeah, yeah, yeah. It’s sort of this implied narrative, isn’t there? Or did you guys not .. did you discuss that sort of thing? We never discussed it. You know? But like, I mean, I’ve tried to bring it up with her once, and she just gave me this look like, “Dude. Come on. What are you doing?” It’s … But we would like … that … I don’t want to … I don’t want to talk about her music. It doesn’t like … I don’t want to try and like put my needle on it, but we’re very much in each other’s lives and then, you know, and she made that incredible album [Party]. So that’s about a differently … it’s an interesting thing to listen to someone’s music and … Because we all do that with songs, right? We all go, “Oh, that’s, that’s about me.” It’s like … but to like really, I don’t know, it sort of throws a whole other kind of level on it. I was always hoping there would be like a day, an appointed day, via social media or something where you would have to send songs you had written to everybody you’ve written about them. And it’d be like #SongAboutYou or something like that. That would bring about the end of days, I think. So [back to] your collaboration with Delaney, how did that wrap up or decide that … or did you guys keep it open and say, you know, maybe we’ll come back to this? Yeah, there’s still an intention to keep it open and see what happens. We’re about to go on tour with each other in a couple of weeks … in Europe. Yeah. And we haven’t played together for a long time. But it just sort of … Delaney was going back to Europe to tour, and I … the opportunity and sort of desire to move to Melbourne, Australia came up with me and my girlfriend at the time, and I had the off … had an offer of management. Should I move there? And it just seemed like a natural step. I’d sort of wearied of post earthquake Christchurch, and I’d done a lot of touring up and down the country. It’s only so big, so Australia seemed like an obvious option for me at that point. Right. … What is the difference in scene … from Christchurch to Melbourne? I mean, I imagine it’s huge, but as somebody who’s never been to either of those places … only read about them and listened to the music from the each place. Yeah, well Melbourne’s about the same size as New Zealand, so it’s like … And it’s got … still … it’s still got one of the most … after all the touring I’ve done, it’s got one of the biggest and sort of most self-sustained music scenes I’ve seen. It was very eye-opening for me to go there and just have these … especially after the earthquakes, having all these venues on every corner, and there being a lot of really good infrastructure around it and internal support. I always am curious when I speak to musicians from countries that I’ve never actually been to about … here I am in Boston and you’re in Boston right now, and you might have like picked up just listening to the radio like hearing tons of Aerosmith in this area. So who were the heroes of New Zealand? The only ones I can think of are like Split Enz, right? Right, Crowded House and the Finn Brothers. The Finn Brothers, yeah. Yeah, there … I don’t know. It was … I was so caught up in my own little world, you know, of just dissecting all the stuff that and deducing the stuff that was coming to me. And then just people from my own … My peers, my immediate peers. A lot of … there’s a really strong sort of garage lo-fi scene from the ’80s with The Flying Nun records which was an incredible record label that, bands like The Clean. And Delaney’s [band] and The Chills. It’s just like a … yeah, the Dunedin sound as it’s called. That’s … that was sort of the … that’s very … it’s pretty underground. And it couldn’t be further from the music that you do, right? Yeah, yeah. Although, you know, I try and sort of bring it around from time to time. Yeah, there was … that was definitely … I was aware of them and really … and appreciated it, but it wasn’t a … didn’t sort of hit me in the same way that the stuff I was listening to was. Yeah, I just wanted to make sure I pronounced it right. Yeah, yeah. Yarra … I don’t know. It’s a weird one. That’s a … Yarra is a aborigine word, an Australian word, meaning it flows. It’s a … it’s the name of a river that runs through Melbourne. And we all lived around there. Well, three of us did. But yeah, so in terms of the band. Ben, the bass player, as I said, I’ve been singing with him since we were 12. So that’s since we started high school together. And Gus was … the local barmen at the Yarra Hotel. And I started a residency there, and by the second gig I had him playing drums behind me. Got bored of playing solo. And then, Dave who plays guitar … and violin, I knew from New Zealand and had toured with Delaney before. So yeah, so it was a … yeah, it was … I’m not very good at like auditioning strangers or anything. Are any of the science teachers kicking themselves that they didn’t throw their hat in the ring? Oh, I don’t think so. I think they’re both still teaching. Simon who … yeah, the longest standing science teacher drummer… is playing, doing some really nice stuff. Playing good music, yeah. Well, he’s still playing drums for this girl named Laura Lee Lovely, and it’s really nice. It was tricky, you know, like going from … especially, you know, with Ben having been in the Unfaithful Ways which was a … like we were all obsessed with the band. So it was a sort of equal opportunity sort of thing with multiple songwriters. But I don’t know, I really just was starting to feel a real sense of self and self-direction, especially working with Delaney cause he was such a taskmaster of his own sort of product and drive. So it was … yeah, I think I just … I don’t know. Yeah, and I had had a manager that I met in New Zealand but lived in Melbourne, and so I moved to Melbourne with my manager and was playing a lot of … for the most part, a lot of solo shows for a long time. And then was like, “well, I need a band,” you know? So it was part of the open dialogue that that was what it was, I think. Right. And those guys are playing on both of the albums, right? Yeah, well the … Ben’s … Dave and Gus aren’t playing on the first one. It’s just Ben and a bunch of our friends. And like Aldous and Allen, and the second one was … yeah, we all just went off to California and … did that that way. And you did that, this new album, was it just this past December? Okay. I was going to say that is a quick turnaround. Oh, yeah. No, things don’t happen that quickly. I wish. Yeah. And both in the writing and the recording, it was a very dramatic and stressful and emotional couple of months. I’d imagine doing these songs a year and change later, it seems like you’re at a happier place in your life. Yeah, for sure. It’s … I felt happier once I wrote those songs. That was such a giving away, and I never used music like that until that album. It was … There was never a need, which I think is a bad thing, you know? I think it’s bad for writing and good for life, but to not have that need for tension. You know, like it’s … I don’t know, there’s like that German poet said, you got to … if there’s … if you don’t need to do it, then you shouldn’t do it all. Which I always thought was some neoromantic twaddle. But I can see the fruits of it now. Right. And in this solo phase, you never do dip back and play any Unfaithful Ways songs, do you? No. … Every now and then, I think about it, but then it’s … but it’s only some sort of silly joke. Right. Well, how did you kind of arrive at this sound that … which is so distinctly different from the band sound? I think it … it’s just through just constant playing and just subtle shifts that just happen gig and after gig and day after day. It’s really hard to put your finger on, but like I remember last year coming back to Christchurch and playing a hometown gig for the first one for a year or so, and one of my good friends coming up and saying, “The way you’re playing ‘Dark Child’ was amazing. It’s really … it’s way over the top and completely different.” And I obviously had no idea that it had changed at all. It’s such a sort of silent shift that goes on for me. But does it surprise you that “Dark Child” is one of the most popular songs? Not really, no. I mean I didn’t write that song. … That was written by a friend of mine in Christchurch. It was such a good song. I just knew it was a … and the way I just sort of … the way I felt to sing it, it just felt good and it felt like I was … I had a straight line to the heart somehow. … and it’s really nice having playing a song that’s written by a friend of yours and who doesn’t really play much. Right. It … so this friend doesn’t play out? No, no. He’s a nurse. Did he ever record a version that’s out there? There’s like this one version of him playing it on the guitar, like on like Vimeo or something. How did it come that you would … how did you come to approach him and realize that you wanted to do that song? I don’t know. It was a mix of things. It was … I just didn’t have enough songs for my album for starters. And we’d … I don’t know. We’re really good friends, and we’re always playing around Christchurch, and it just … I don’t know. I think just things were … I was really put … making a push for it musically, and it just seemed like the right thing to do to a degree, and I just wanted that song. Did you do anything different enough so you could get a co-writer credit? Check this out. This is the most business-like shark thing I’ve ever done. I’ll probably get in trouble for this, too. I’m going to say it anyway. I bought him out of 10 percent of the song for $250. So that I could submit it for a New Zealand Public Funding application. And got the funding! And it was like, the most sharky thing I’ve ever done in my life. Ah, it’s not that bad. I mean it’s … I think it’s fine. I think it’s actually within the agreement, but it was a bit dodgy. Right. I mean, you hear … like who was the guy who wrote “Breathless,” Otis Blackwell, I think? Yeah, and he wrote like all of Elvis’ hits. And somebody said like, “Man, you’re letting Elvis get credit on these songs.” And he’s like, “Well, 50 percent of something is better than 0 percent of nothing.” You know? You know, yeah, I guess, you know, it’s … I don’t have a job. Or not any other job I should say. But, by the time … by about a year into living in Melbourne, it was … there was no room for anything else, so it was, yeah. Right. And over this time since the album, have you guys been working on new stuff for another release? I don’t know. That remains to be seen. I didn’t between the … my two albums, I didn’t write anything at all either. … There were heaps of ideas in my head, and now I’ve got ideas but I’m pretty superstitious about committing things to paper. So do you think that it might not have been … it sounds like it was a rush of inspiration that you got all those songs out in this album. But there might have been some level of them being ready at the dam about to burst? If you went in to a studio now with like, “Okay, you’ve got to make another record.” Is that how it would work, do you think? I’d like to spend more time making a record. I like being in the studio. Because I’m like … we did this one in 10 days, and we did the last one in probably I think less. To actually spend a couple of months or something, yeah. Just with just demoing and then slowly building things. Do you feel like you’ve written your legacy song yet? You know, the song that people will remember you by? No. There’s no accounting for what people will grab onto. What’s the last song in your set? What’s the last original song in your set? At the moment, it’s the one before that which is “Love is a Terrible Thing.” Yeah. Which is just … I don’t know. It just sort of works well with me playing the piano and getting to be a little jazz standardy-sounding song. But you know, I think that song I do with Aldous Harding, “Nobody Gets What They Want Anymore” is … It’s the one that was the most edifying. It’s the one that I actually learned from, from writing, and feel … And I feel that giving expression to something that I can’t express using ordinary language, and that’s … that’s the closet … yeah, that’s the closest thing to success I’ve felt as a songwriter. Going from major to minor, yeah. I was listening to a lot of Paul McCartney I think that was. Listening to the new album, like one thing … that one song that I kept thinking of, and I don’t know why but was “Wicked Game” [by Chris Isaak]. Does that play into your background at all? Yeah, yeah. That song is a … I don’t know. It’s something of an archetype for me. So I wasn’t way off. No, not at all. It’s … there’s that mix of nostalgia and … but that directness, too. It’s using old materials for a new and direct message to someone. Right. Yeah, I like that description of “Wicked Game” kind of also doubling as what you do. Kind of an older ways of saying something new. Yeah, yeah. It’s just … nostalgia’s just another tool, you know, to draw people in, I think.